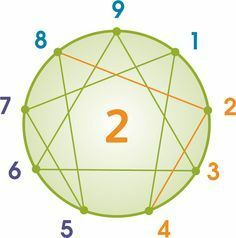 Welcome to part three of our series examining the nine types of the Enneagram Personality System. Today we are discussing type two, the Helper. To catch up on previous Enneagram blog posts, follow this link And to take a free version of the test and find out your type, go here. Anyway, I keep picturing all these little kids playing some game in this big field of rye and all. Thousands of little kids, and nobody’s around–nobody big, I mean–except me. And I’m standing on the edge of some crazy cliff. What I have to do, I have to catch everybody if they start to go over the cliff–I mean if they’re running and they don’t look where they’re going I have to come out from somewhere and catch them. I’d just be the catcher in the rye and all. I know it’s crazy, but that’s the only thing I’d really like to be. I know it’s crazy. Twos find their identity and security in their ability to love and help others. They are the most congenial, considerate, generous, and interpersonal type. They are also constantly on the lookout for validation and affection, something they need desperately and fear they won’t be able to find. Twos make excellent friends and companions, and generally receive positive feedback for their almost instinctive kindness and thoughtfulness. The danger of this instinct is that it helps the two to repress her own needs. The external focus that gives the two such insight into how to support others also causes her to be blind to her own desires and feelings. And this repression if left unchallenged can lead to deep resentment and loneliness. 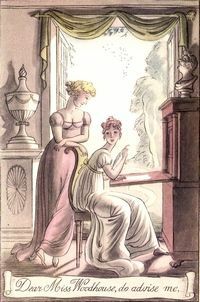 While Holden is a two who tends to be overtaken by his resentment toward “phonies” and the lack of appreciation he feels from the world, Emma Woodhouse of Jane Austen’s Emma uses her keen interpersonal awareness to meddle in the personal lives of her friends. Emma is most satisfied in life when she is helping and improving others, and is fueled in her efforts by the positive attention she receives as a result. Helpers tend to be quite aware of their own reputation for being selfless and kind, and this produces a hidden pride and vanity in the helper of which she is often unaware. It is as if she is saying: I will make my love so indispensable to your life that you won’t be able to get along without me. Emma’s unfortunate and unsolicited mentorship of Harriet Smith is the perfect example of this dynamic, illuminating the strengths and weaknesses of the two. Towards Harriet, Emma is sensitive, supportive, generous, and nurturing. However, she is also controlling, arrogant, manipulative, and easily offended whenever Harriet or anyone else seems ungrateful. Through a series of disappointments, Emma learns that she must to attend to her own feelings and desires and let go of the undercurrents of control and superiority in her attentions to others. This is essentially the task for all growing twos: to let go of the need to find worthiness in the gratitude of others and to learn how to receive. Twos must strive to develop self-awareness and acceptance, and must take time to appreciate and nurture themselves as gently and kindly as they are used to doing for their loved ones. Only from this place of self-acceptance can twos begin to believe that others might really accept them and love them wholeheartedly.